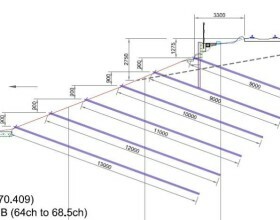 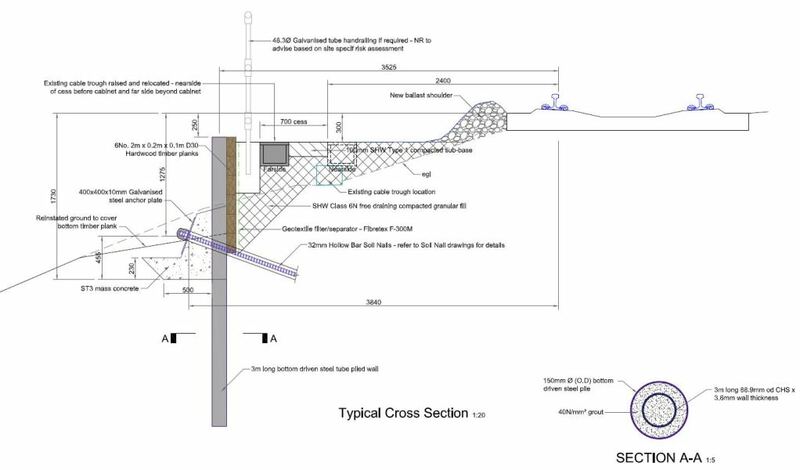 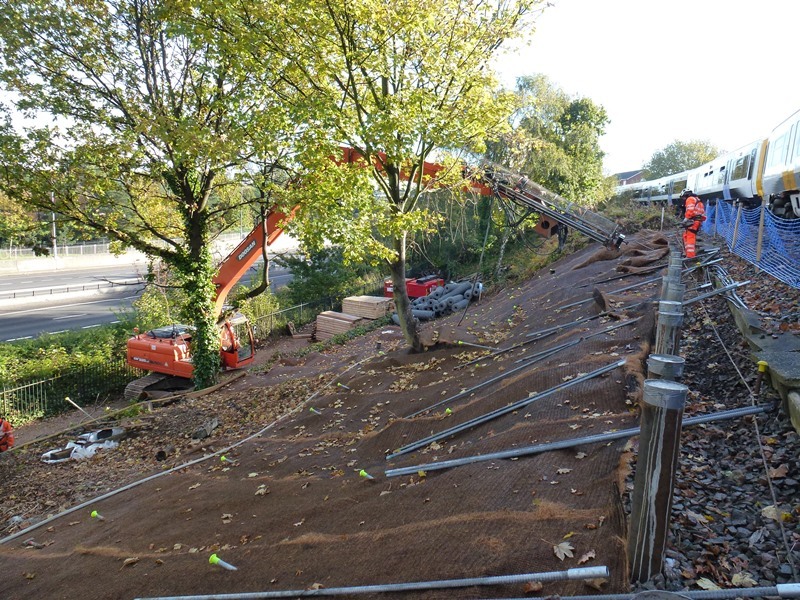 Evidence of both deep seated and shallow instability had been reported on the Down slope of the Eltham embankment located approximately 300m to the west of Eltham Station between Eltham and Kidbrooke stations at ELR: BEX 8m 61.5ch to 8m 70ch. 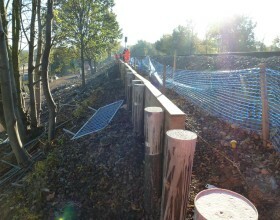 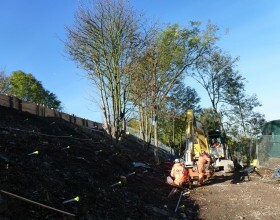 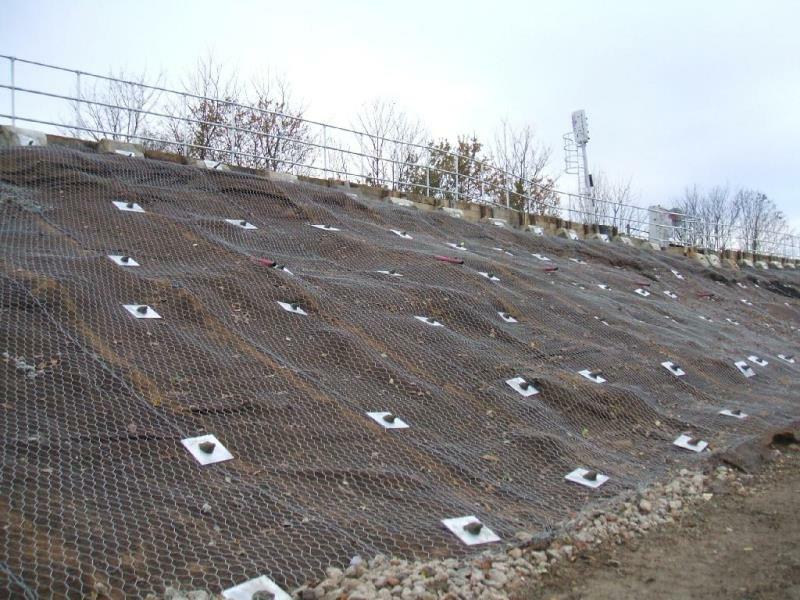 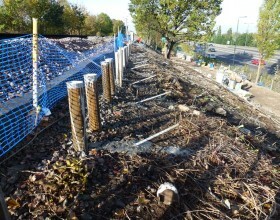 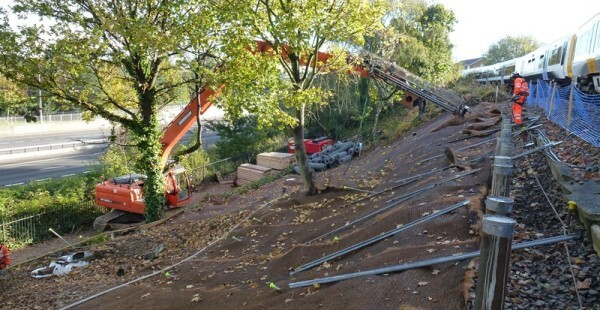 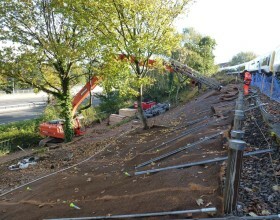 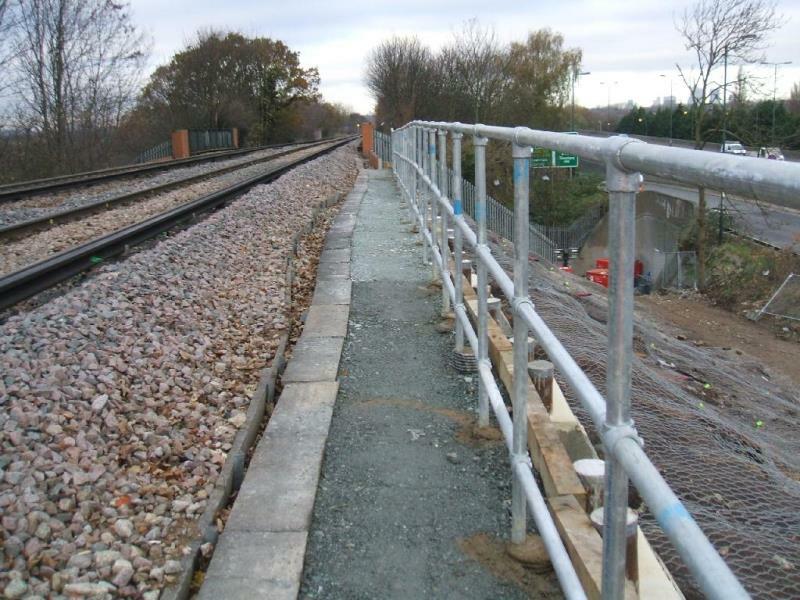 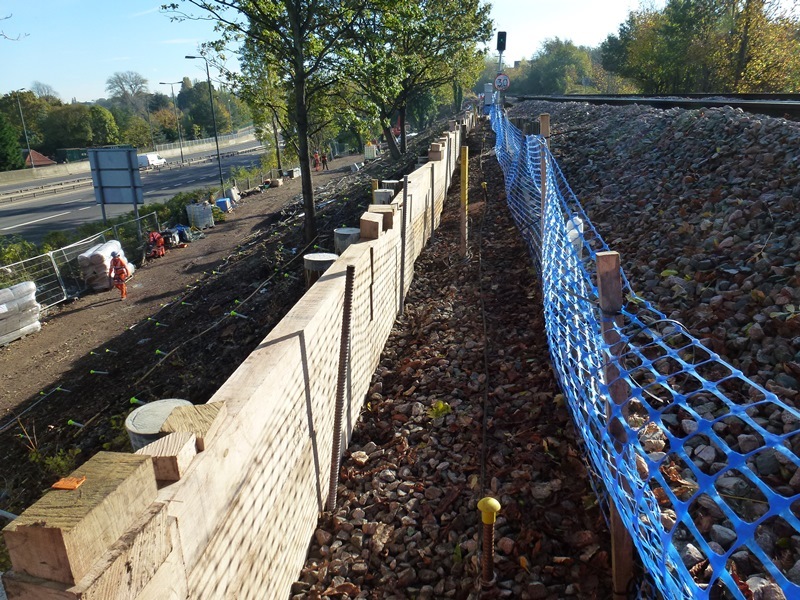 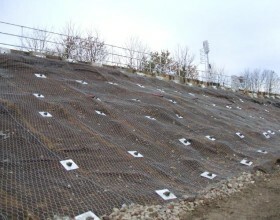 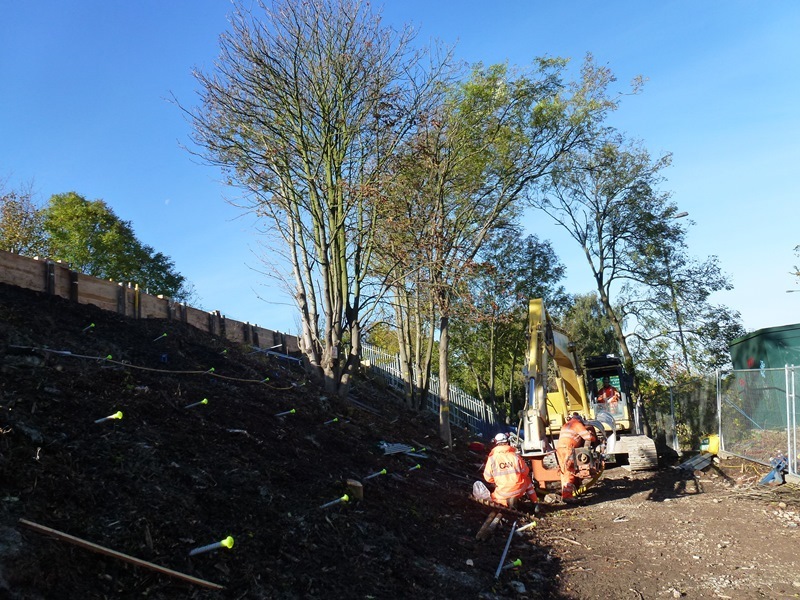 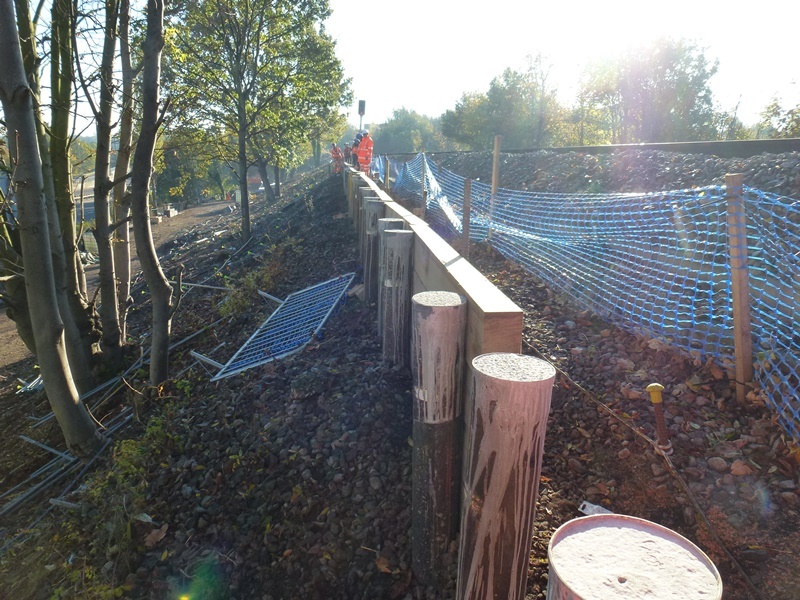 Remedial works in the form of soil nailing, track shoulder support, inclined drainage, and erosion protection was designed and detailed by PaSCoE for Balfour Beatty Rail to stabilise the embankment and provide track support. 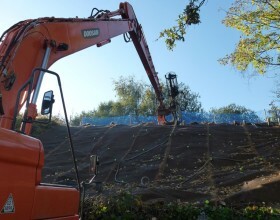 Soil nailing is a ground stabilisation method used to enhance the stability of slopes and is generally employed in “in-situ” ground by the insertion of soil nails. 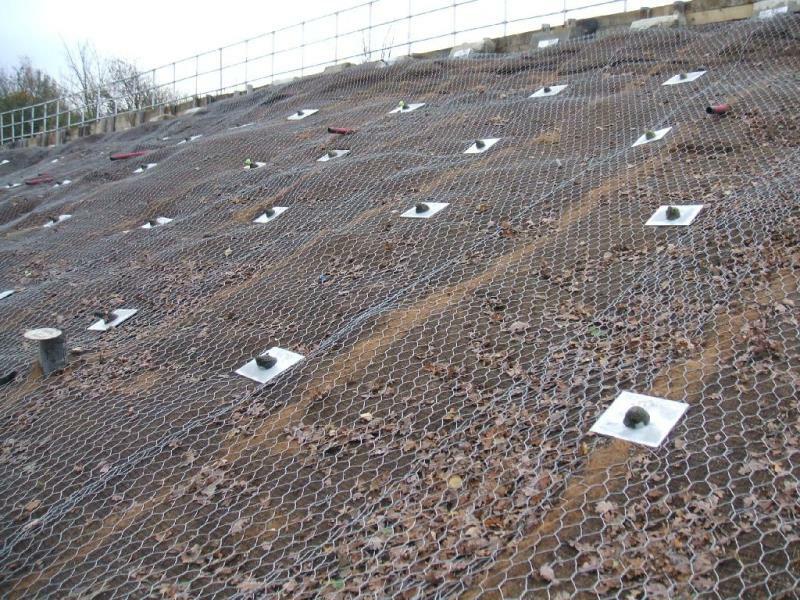 Correctly orientated soil nails will improve the shear strength of soil which is naturally weak in tension. Frictional forces are mobilised when surrounding soil shears against relatively inextensible soil nails which results in an improvement of the slope’s mass shear resistance and the development of tensile forces in the soil nails. 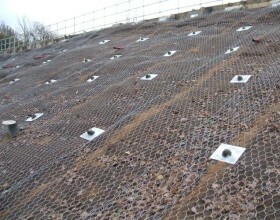 The key components of a soil nail construction are the tendon (soil nail), the grout annulus, and the head plate/locking nut. 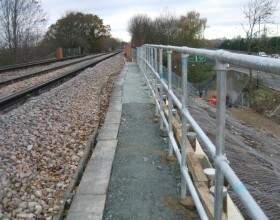 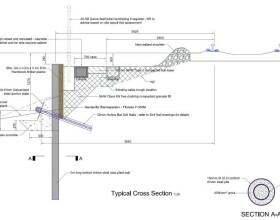 The track shoulder support was achieved using bottom driven steel tubular piles filled with grout (Grundomat), laterally supported by soil nails.